Yesterday I was hitting my limits – in a lot of ways – work load, emotions, and the actual weight at the gym. I was maxed out. I had nothing left in the tank when I left the office and felt really down in the dumps. I got myself to the gym and the first part of the workout was squats. I love squats. I’m good at squats. They make me feel strong and powerful. Last night’s workout called to hit 105% of your max weight. That’s past my comfort zone. That’s harder than what I did last time! I stood there and looked at the weight I knew was really tough. I started to talk myself out of it and at that moment my day and all the emotions just hit me! I mentally connected the baby 2 1/2 pound weights in my hands to my day to day life. I’m being stretched to be better every day at work and I’m stretched to be a better mom every day. And every day I go to bed just a little bit better than I was the day before. 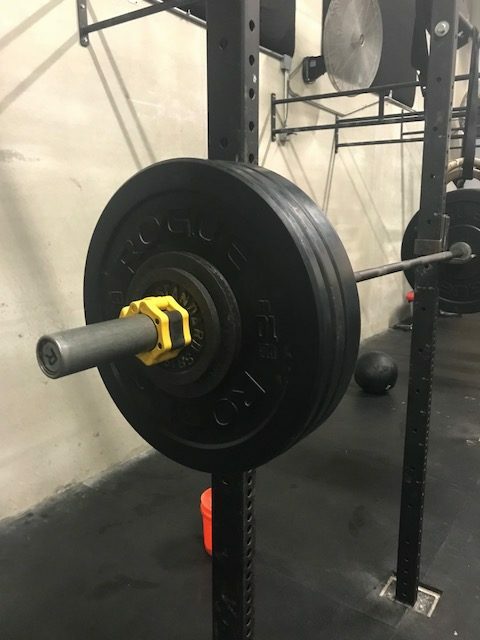 So I added those baby weights to the bar. It was only an extra 5 pounds more than what I had lifted just a few minute ago. Five pounds. That’s nothing in the big picture! So I got in there an tried the weight AND I lifted it! Hit that personal record and it FELT SO GOOD! I walked away from that moment and felt like I could take on the world. One tiny little bit at a time. I don’t need to solve it all. Tomorrow I’m going to find the “5 pounds” at work that will make me just a bit better. This week I’ll find the “5 pounds” at home that will make me a better mom.